Translate Mexican Spanish to English or other languages fast and easy. Systran’s translation software allows you to translate not only Castilian but also Mexican text with an impressive level of accuracy. With Mexican being over 10% of the US population, the need for Mexican translation is growing considerably. 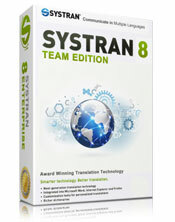 At this time, Systran is the only software that can translate Mexican Spanish to English and vice versa. When you use Systran to translate documents, you get an impressive level of accuracy which allows you to communicate efficiently with customers, employees and investors from Mexico. Even the Bank of Mexico uses Systran’s translation software to translate all their documents to Mexican and English. The main reason is that it helps them cut translation costs and also increase productivity. Systran uses a unique blend of dialects, also referred to as International Dialect, which allows it to get a higher level of accuracy for a particular dialect. The technology is able to control the linguistic rules and the dictionaries. Also, to ensure you get a better accuracy, you can create your own custom Mexican dictionary. This allows you to make use of the advanced translation memory and train the software to detect specific words when translating the document. Get your Mexican Spanish translation software today! Which SYSTRAN Product should you select for Mexican Spanish Translation? With the release of SYSTRAN Version 8, you'll discover the products have changed a little, and the Essentials edition only contains the Castilian dialect. The SYSTRAN Professional versions and higher, will include the ability to choose the International Spanish setting, which is suggested for the Mexican dialect. If you are looking for even more accuracy when working with the Mexican language, you should consider the Enterprise editions. The Team Edition is priced to be as affordable as a multiuser license and perfect for even professional translators. This new release includes millions of additional pre-translated sentences and phrases that can improve the overall accuracy dramatically. For higher accuracy in Mexican Spanish translation, look at the Enterprise Editions. Prices are quoted due to the different options available. Go through our packages and choose the one that best meets your needs. If you have questions about the software, feel free to give us a call anytime. We have a team of experts that's ready to help you with everything you need to make the best of our translation software.